BROWNWOOD — The Texas A&M AgriLife Extension Service will conduct a range and brush management program beginning at 4 p.m. July 7 at the Brown County Fairgrounds, 4206 U.S. Highway 377 South in Brownwood. Scott Anderson, AgriLife Extension agent in Brown County, said the needed rains this spring have brought a plethora of weeds to Texas pastures. — Toxic Weeds, Dr. Robert Lyons, AgriLife Extension range specialist, Uvalde. — Controlling Weeds in Farm Ponds, Peter Woods, AgriLife Extension program specialist, Bay City. — Weed and Brush Herbicides, Ralph Porter, Dow AgroSciences, Abilene. — Mistakes with Range Herbicides, Dr. Morgan Russell, AgriLife Extension range specialist, San Angelo. — Pesticide Laws and Regulations, Anderson. Six Texas Department of Agriculture continuing education units, two laws and regulations, one integrated pest management and three general, will be offered to licensed pesticide applicators. Individual registration is $30 payable upon arrival for those who RSVP by July 1 and $40 thereafter. Fees include a catered meal. For more information or to RSVP, call the AgriLife Extension office in Brown County at 325-646-0386. 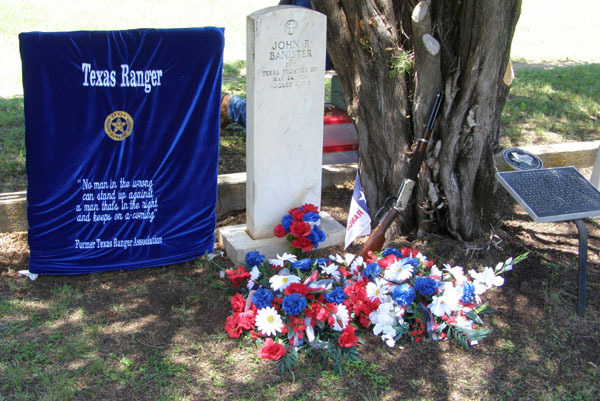 Relatives and descendants of pioneer lawman John R. Banister gathered Saturday, May 28, 2016, at the Santa Anna Cemetery to honor his life and to dedicate the Texas Ranger Memorial Cross at his graveside. 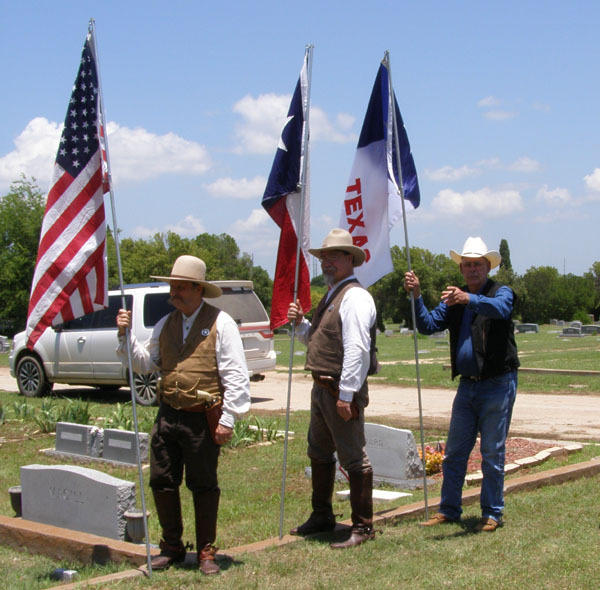 The Former Texas Ranger Association sponsors the cross ceremony, and was represented by Association member Carl Weathers of Lubbock, a retired Texas Ranger Captain. The Moses Austin Rangers, Sons of the Republic of Texas were present in period costume as an Honor Guard to present the colors. 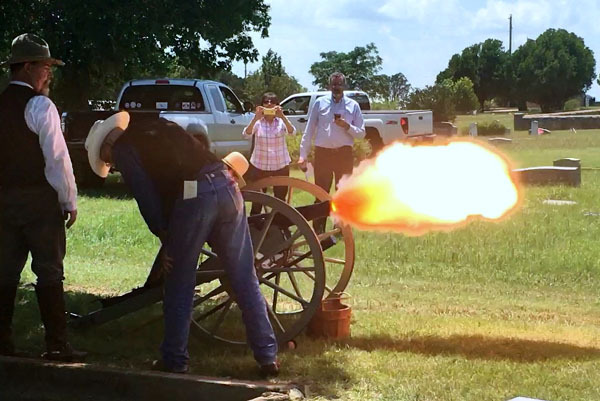 At the conclusion of the ceremony, they fired a military salute with rifles and cannon. John Riley Banister was born in Banister Hollow, Camden County, Missouri, on May 24, 1854. He came to Texas as a boy, and grew up on a ranch near the frontier settlement of Menard. There he learned to ride, rope and shoot, and became an experienced cowboy. His first cattle drive “up the trail” to Kansas was in the spring of 1874, just before his twentieth birthday, and he made several more drives in the following years. John served as a Texas Ranger from 1877-81, and was one of the original members of Company E, Frontier Battalion, capturing the outlaw Sam Bass and guarding John Wesley Hardin. He later moved to Coleman County and purchased a farm at the west end of the Santa Anna Mountains. 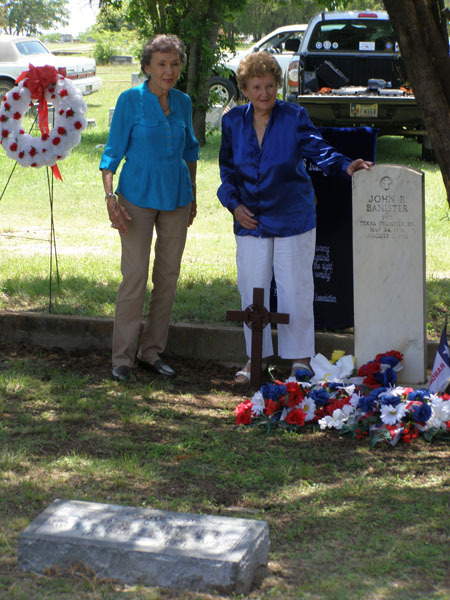 His career as a law enforcement officer included railroad detective, Special Agent for the U.S. Treasury Department, Chief Field Inspector for the Texas Cattle Raisers' Association, and Sheriff of Coleman County. He died on August 2, 1918, while serving as Sheriff, and was buried in Santa Anna. Adults 19+ meals prices will be $3.50. Days/Time: Monday –Thursday @ 11:30 A.M.- 12:30 P.M.
Come eat with us and enjoy a Healthy Summer Meal! A Mountaineer Ex-student is making a Mountaineer quilt out of old SA t-shirts, to be raffled next spring. If you have any old t-shirts you no longer wear please bring them to Mr. Guthrie.